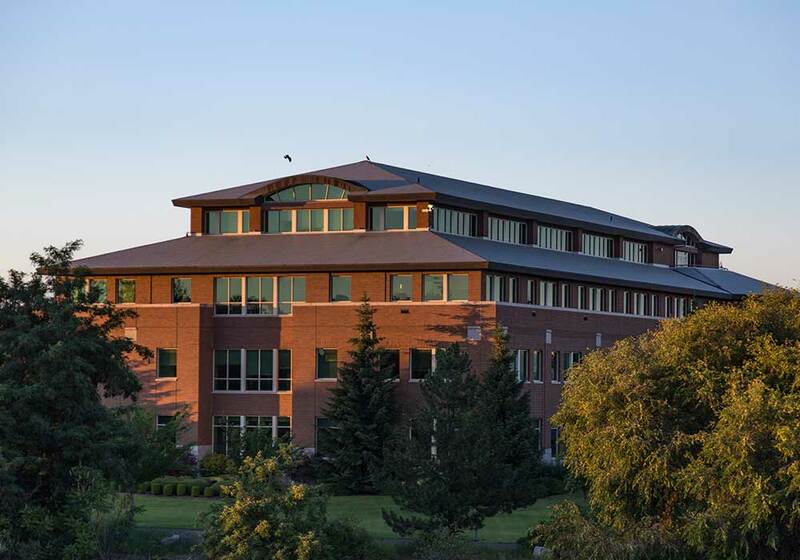 This 104,000 SF building sits on a site next to the Spokane River on the edge of the Gonzaga University campus, and features brick veneer, polished granite entry, and a manufactured slate tile roof. 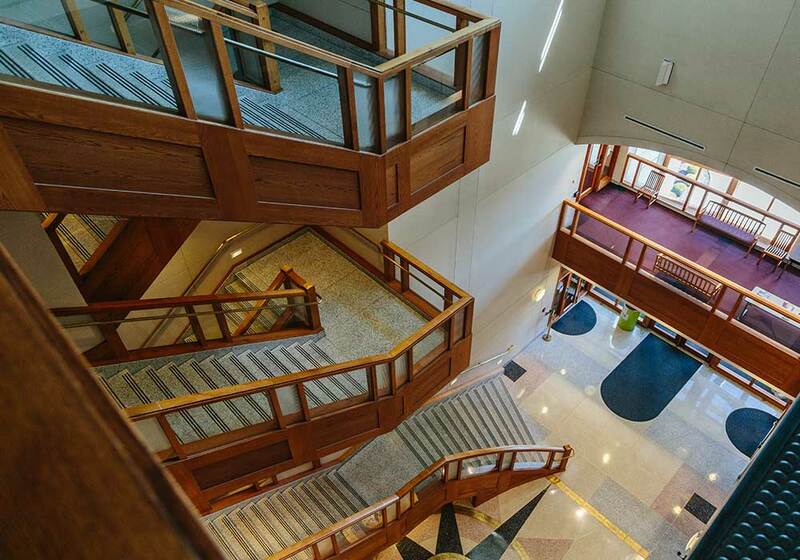 The interior is highlighted by a four-story atrium with an open staircase of wood, brass, and terrazzo. 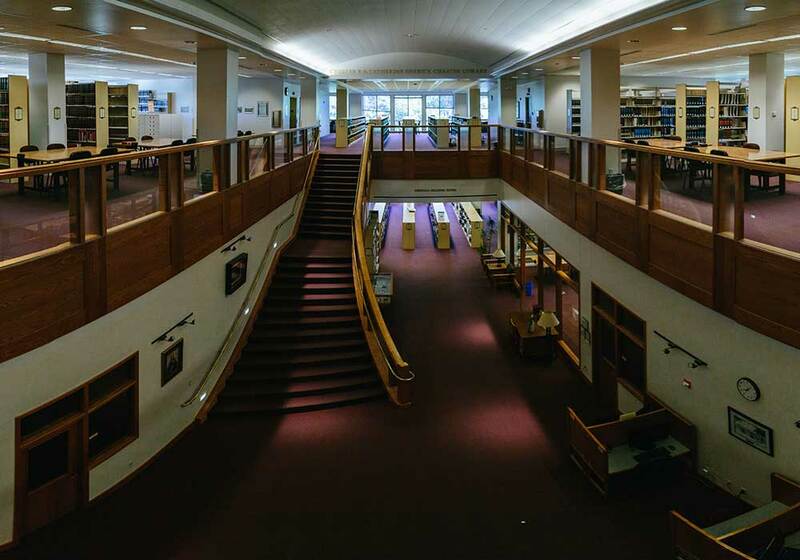 Walker Construction self-performed four stories of cast-in-place concrete and installation of the finish hardware. 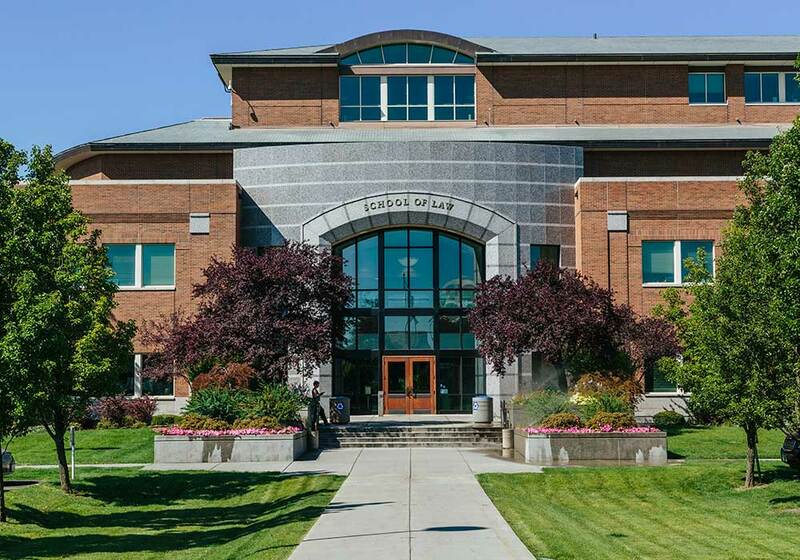 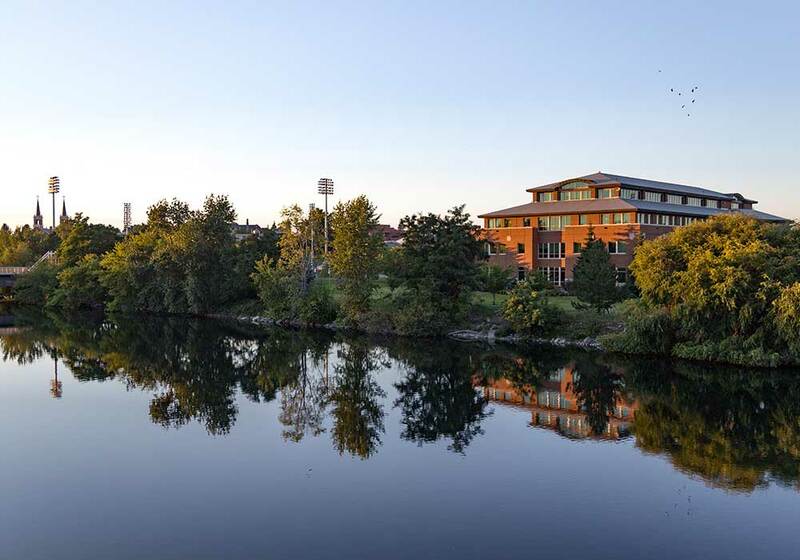 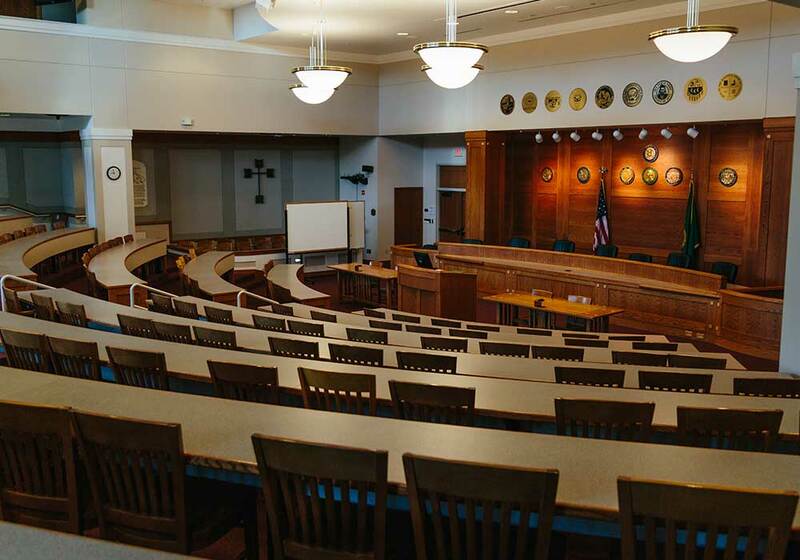 This building is being touted as one of the most beautiful law schools in the country, as well as one of the best bargains for the construction dollars spent.